Kumi Yoshida was educated and graduated from Nagoya University (B. Sci 1980, M. Sci., 1982) under the supervision of Prof. Toshio Goto (bioorganic chemistry). After 6 years occupation in Research Center of Amano Enzyme Inc., she moved to Sugiyama Jogakuen University as an Assistant Professor. In 1993, she obtained her Ph.D. degree at Nagoya University under the direction of Prof. Goto and Prof. S. Marumo. 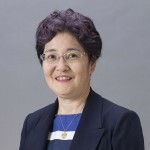 In 2000, she moved to Nagoya University as an associate prof. and in April 2010 she was appointed as a full prof. of Graduate School of Information Science, Nagoya University. In 1994-1995, she stayed in Universität Konstanz (Prof. P. Böger) as a visiting research fellow, and in 2013 stayed in Helsinki University (Prof. K. Wähälä) as the scholar of Erasmus Mundus program for “Master of Science in Advanced spectroscopy in chemistry”. In 1995, she was awarded The Japan Bioscience, Biotechnology and Agrochemistry Society Award for the Encouragement of Young Scientists and in 1998 she received Salt Science Research Foundation Award. She organized IWA2009 and ICP2014, jointly hosted with 8th Tannin Conference. Her research interests are in chemical and biological studies on flower coloration of anthocyanins, structure determination of polyphenols, synthetic studies on polyphenols (anthocyanins, flavones, flavnols, catechins, procyanidins and others), molecular biological and biochemical aspects of metal transporters involved in blue coloration, functional studies of polyphenols (dye-sensitized solar cell device, various pharmaceutical studies). Pr. Olivier DANGLES (born in 1961) studied chemistry at the Ecole Normale Supérieure of Cachan, France (1981-1985) and got a PhD of organic chemistry at the University of Paris – Orsay (1989). An assistant professor at the University of Strasbourg (1989-1992), then a researcher at the National Center of Scientific Research (CNRS, 1992-1995), he devoted his research to the chemistry of anthocyanins in relation to the expression of natural colors (in the group of Pr. R. Brouillard). In 1995, he was appointed a professor of chemistry at the University of Lyon. 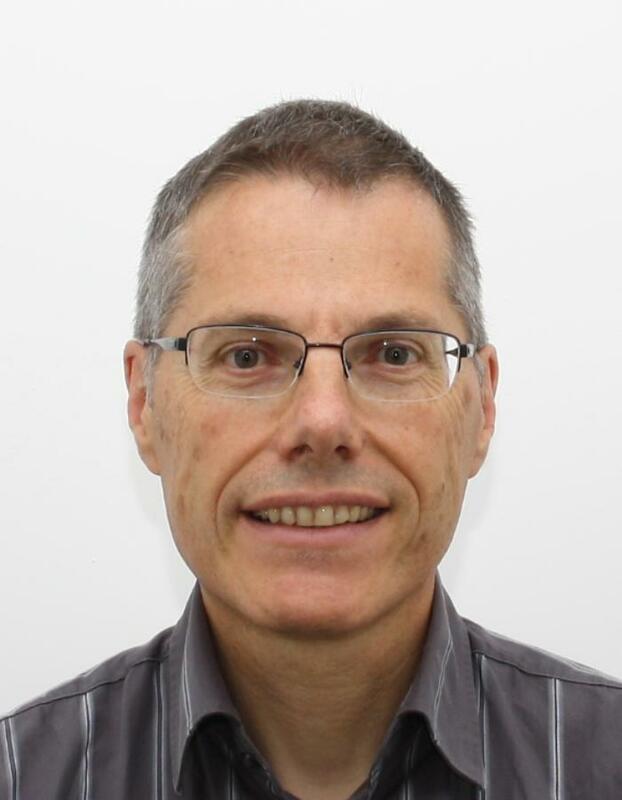 Since 2000, he is a professor of chemistry at the University of Avignon and at the head of a group of researchers and technical staff from the University and from the National Institute for Agricultural Research (INRA). His main research topics deal with the chemistry of polyphenols and carotenoids in relation with their effects on human health: mechanisms of oxidation and antioxidant activity, interactions with proteins, lipids and metal ions, organic synthesis of metabolites. Richard A. Dixon is Distinguished Professor and Samuel Roberts Noble Research Chair, Senior Vice President and Director of the Plant Biology Division at the Samuel Roberts Noble Foundation. He also holds Adjunct Professorships at Rice University, the University of Texas at Austin, and the University of Oklahoma. He received his Bachelor’s and Doctoral degrees in Biochemistry and Botany from Oxford University (UK), and postdoctoral training in Plant Biochemistry at Cambridge University (UK). He was awarded the Doctor of Science degree for his research achievements by the University of Oxford in 2004. 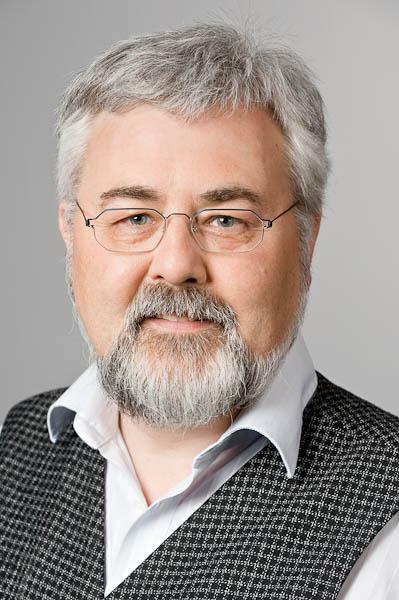 His research interests center on the biochemistry, molecular biology and metabolic engineering of plant natural product pathways and their implications for agriculture, and he has published over 400 papers and chapters on these and related topics in international journals. Professor Dixon is a Member of the US National Academy of Sciences (Plant and Soil Sciences Section, elected in May 2007), a Fellow of the American Association for the Advancement of Science (elected in 2003), a member of the Editorial Boards of five international journals, and has been named by the Institute for Scientific Information as one of the 10 most cited authors in the plant and animal sciences. 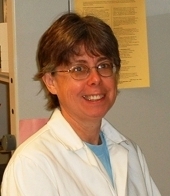 Ann E. Hagerman, trained in chemistry & biochemistry, received her PhD in Biochemistry at Purdue University in Lafayette, Indiana (USA) in 1980 under the supervision of Prof. Larry Butler. After a postdoctoral stint in Botany and Plant Pathology at Purdue under the guidance of Prof. Ralph Nicholson, she moved in August 1982 to Miami University in Oxford, Ohio (USA) as an Assistant Professor. 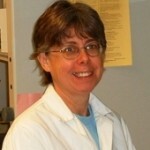 She moved through the ranks and was promoted to Full Professor of Chemistry & Biochemistry in 1999. Her current interests include the biochemical activities of polymeric polyphenolics (a.k.a. tannins) especially including their interactions with proteins; their role in ecological systems including plant herbivory and soil fertility, and appropriate analytical methods. Her online “Tannin Handbook” is used as a resource by workers throughout the world interested in classical methods for polyphenolic analysis and fundamental chemistry of polyphenolics. She has been a visiting scientist at the Heart Research Institute in Sydney, Australia; University of Tasmania in Hobart, Australia; and University of Joensuu in Joensuu, Finland. She is currently an Associate Editor of the Journal of Chemical Ecology and an organizing member of the Tannin Group, an international affiliation of scientists interested in polymeric polyphenolics. 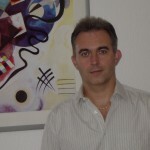 Stéphane Quideau, trained both in synthetic organic chemistry and NMR spectroscopy, received his PhD in Natural Product Chemistry at the University of Wisconsin-Madison (USA) in 1994 under the supervision of Prof. J. Ralph. After a postdoctoral stint at The Pennsylvania State University in State College (USA) under the guidance of Prof. K. S. Feldman, he moved in August 1997 to Texas Tech University in Lubbock (USA) as an Assistant Professor. 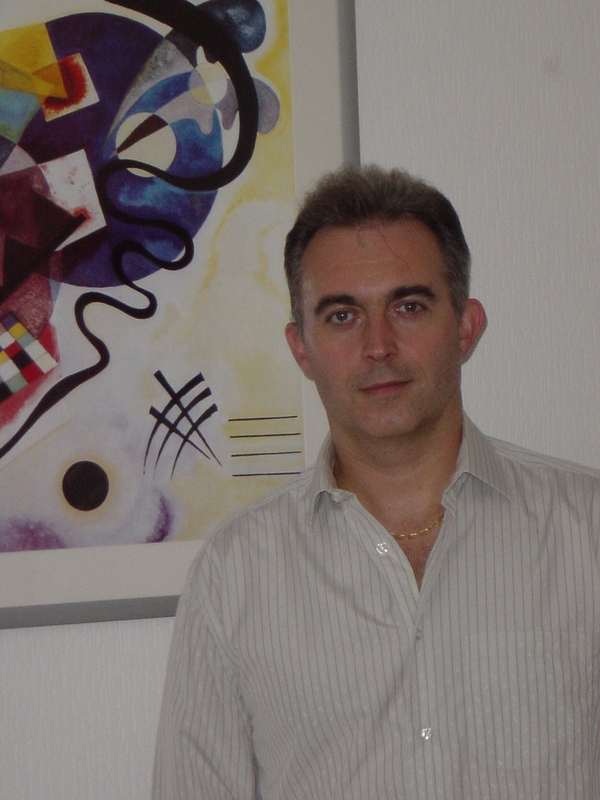 In January 1999, he moved back to France as an Associate Professor at Bordeaux 1 University. 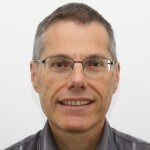 He joined the IECB as a Group Leader in 2003. He was nominated as a Junior Member of the University Institute of France (IUF) in 2004. His team received the Young Investigators Award (ATIP) from the CNRS in 2005, and he was promoted to the rank of Full Professor in 2005. His current fields of interest encompass structural, synthetic and biomechanistic studies of bioactive natural products, in particular plant phenols and polyphenols, the development of synthetic methodologies based on hypervalent iodine-mediated asymmetric dearomatization of phenols, and the rational design of antigenic peptidomimetics as immunotherapeutic agents for the development of anticancer vaccines. In 2006, he received the Acros Prize from the French Chemical Society and the Dr. and Mme Henri Labbé Prize from the French Academy of Sciences. In 2008, he received the Scientific Prize of the Groupe Polyphénols Society, and was elected President of this Society for the next four years. 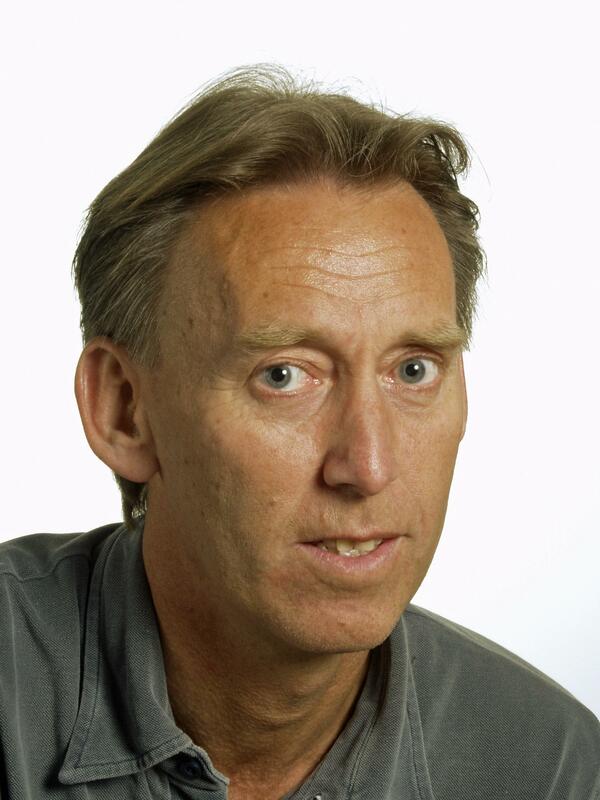 Oyvind M. Andersen has specialised in the chemistry of anthocyanins and other flavonoids. He received his Dr. Philos. degree in 1988 from University of Bergen. He moved through the ranks and was promoted to Full Professor of Natural Product Chemistry in 1993. He is author or coauthor of 110 international journal articles, ten invited book chapters and five patents in the field of anthocyanins and other flavonoids. He is together with Dr. Ken R. Markham editor of the book Flavonoids: Chemistry, Biochemistry and Applications. The activities of Dr. Andersen’s research group have led to establishment of several flavonoid-based companies. 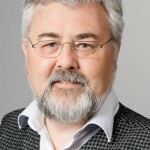 Among his administration tasks he was Head of department of Chemistry, University of Bergen (2002-2008), and chairman of the National Council for chemistry in Norway (2005–2007). He has supervised over 40 MSc and PhD students in natural product chemistry. The research projects concentrate on structure elucidation of new compounds, methodology within NMR spectroscopy and chromatography, and bioprospecting. Some of the latter projects treat comparable behaviour and functions of individual anthocyanins with the underlying aim of exploring their pharmaceutical potential and their use as colorants in food. 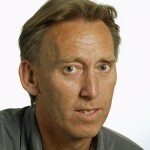 Dr. Andersen was prize-winner of the Groupe Polyphenols Award in 2006. Dieter Treutter studied horticultural science, received his PhD in Agriculture at Technische Universität München (TUM) in Freising-Weihenstephan, Germany, in 1985 under the supervision of Prof. Walter Feucht. The title of his thesis was “Polyphenols in the bark of the graft union of cherry trees with respect to selection of compatible graft combinations”. As PostDoc and scientific assistant at TUM he developed a post column derivatisation method for the selective detection of catechins and proanthocyanidins. In 1992 he received the venia legendi and since 1999 he is full professor and head of fruit science at TUM. He is winner if the “Thurn- und Taxis” – award for contribution to progress in agriculture” and of the „Paul Howe Shepard Award of the American Pomological Society”. For eight years he was president of the German Society for Quality research on Plant Food (DGQ e.V.) where he is still engaged as vice-president. He is communicating editor of the journal “TREES – structure and function”. He has been visiting scientist at the University of Salamanca, Spain. Special topic of research is the role of phenolic compounds, particularly proanthocyanidins, in plant resistance and the use of the induction of their biosynthesis for systemic acquired resistance as well as the ontogenetic and tissue-specific biosynthesis of these bioactive secondary products in tissues of several plant species. The influence of environmental conditions and plant breeding on the metabolism of flavonoids was recently reviewed in “Managing Phenol Contents in Crop Plants by Phytochemical Farming and Breeding—Visions and Constraints.” Int. J. Mol. Sci. 11, 807-857. Denis Barron was born in Auvergne, France and first studied Pharmacy at the Universities of Clermont-Ferrand and Grenoble. Then he left to Concordia University (Montreal, Canada), where he worked under the supervision of Dr. Ragai Ibrahim, on the phytochemical characterisation, the chemical synthesis and the enzymatic synthesis of plant sulphated flavonoid. At this time, he published the first methods of synthesis of flavonoid sulphate conjugates. After obtaining his Ph.D. in 1987, he got his first professional position at the French institute of Agriculture (INRA) in Dijon where he got familiarised with aroma research. In 1989, he got an assistant professorship in Pharmacognosy at the school of Pharmacy of Grenoble (France), and developed a number of synthetic tools for the organic synthesis of isoprenoid flavonoids. In 1994, he was nominated full professor in plant biochemistry at University of Lyon (France). His research interest was oriented towards the discovery of natural phenolic inhibitors of drug efflux pumps such as P-glycoprotein and MRP. In 2002, Professor Kurt Hostettmann accepted him to spend a sabbatical year at the Institute of Phytochemistry and Pharmacognosy in Lausanne (Switzerland). This gave him the opportunity to work on plant phytoestrogens. 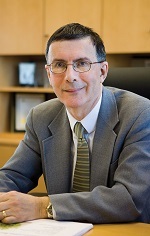 Denis Barron’s research activities, at the boarder of chemistry, pharmacology and nutrition, gave him the opportunity to join Nestlé research in 2003. Current research activities at Nestlé Research Center cover the organic synthesis of analytical standards of human polyphenol metabolites, as well as the characterisation of bioactive and taste active compounds from plant ingredients and food. 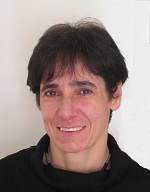 Véronique Cheynier, trained as “Ingénieur agronome” and received her PhD in Analytical chemistry at Institut National Agronomique Paris-Grignon (France) in 1983. She got her first professional position at the French National Institute for Agricultural Research (INRA) in Montpellier where she started working on grape and wine phenolics in 1983. In 1984-1985, V. Cheynier has been a visiting scientist at University of California, Davis in the Department of Viticulture and Enology, under the guidance of Prof. Vernon Singleton. She then moved through the ranks and was promoted to Director of Research in 1993. The current interests of her group include the structure of polyphenolic compounds and particularly tannins, their analysis, their biosynthesis in plants, their reactions in plant transformation products, their interactions, especially with proteins and polysaccharides, and their influence on the quality of foods and beverages, especially wine.